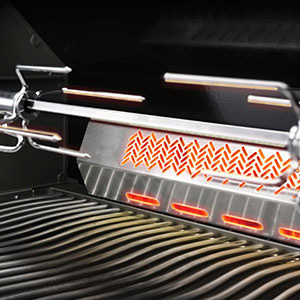 Take the best selling Prestige 665 and cover it with an easy to clean attractive charcoal finish with matching doors, a stainless steel side burner grill, and Night Light control knobs with SafetyGlow! Wow! 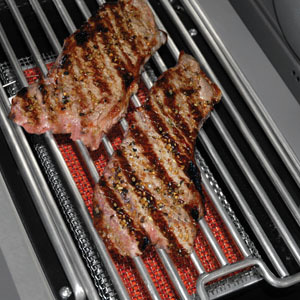 The Napoleon Ambiance 665 has all the features a gourmet BBQ chef will need for a lifetime grill. 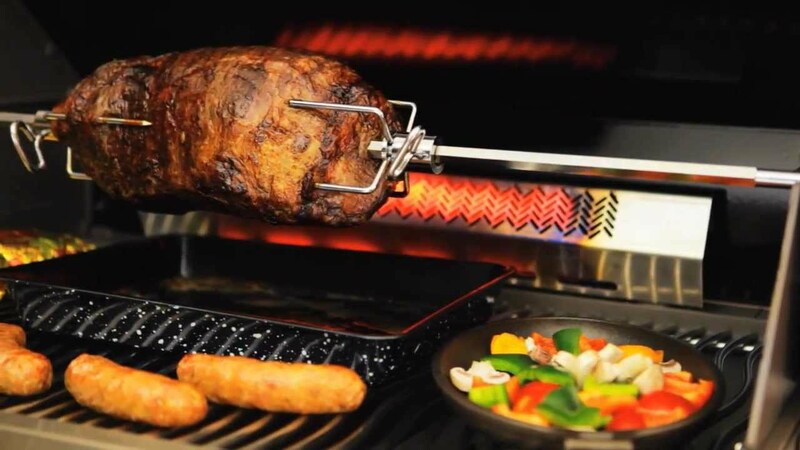 This grill has everything – it’s the total package. The Ambiance 500 has 5 main burners, 1 infrared rear burner and 1 infrared side burner. This gives the Ambiance 665 the capacity to cook in at least 8 different ways. And the stainless steel construction means that this grill will last for years to come. The SafetyGlow feature control knobs ensure you will never forget your burners on again! Made from shining and durable stainless steel, the sleek Ambiance 665 resists rust and corrosion damage. But it is not just durable on the outside. 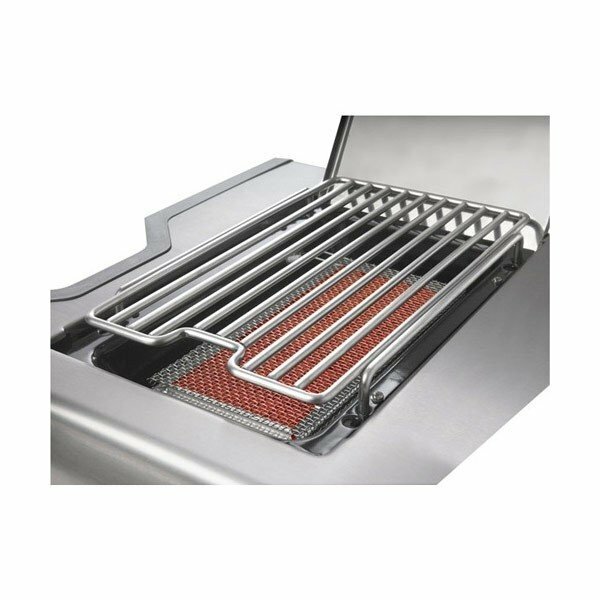 Under the lid you will find the same quality stainless steel used for the basin, the tube burners, dual-level sear plates and even the WAVE™ rod cooking grids. 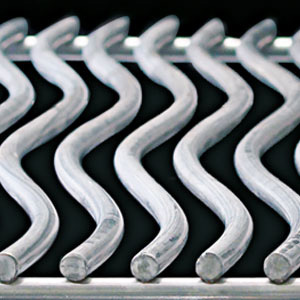 The unique wavy design of Napoleon’s cooking grids provide even heating and prevent smaller foods from slipping between the cracks. 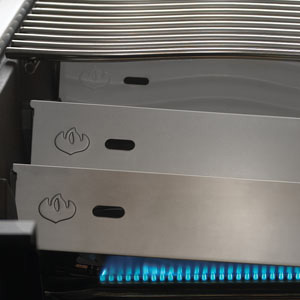 There are 7 staggered stainless steel sear plates on the Ambiance 665. This provides extra surface area for any drippings from your food to vaporize, providing extra flavor and avoiding flare-ups. 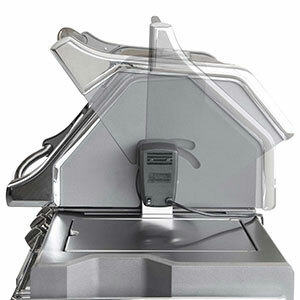 The singular design makes it easier to clean the sear plates as well, because there is nowhere for grease and food debris to build up.